The seminar will provide legal practitioners an analysis of the recent case law of the European Court of Human Rights (ECtHR) with relevance for criminal law and criminal procedure. The seminar will focus on the work of the Council of Europe and international bodies in improving conditions related to detention. • Work of the Council of Europe and its European Committee for the Prevention of Torture and Inhuman or Degrading Treatment or Punishment (CPT) in the field of detention. • The Council of Europe’s legal body of recommendations, conventions and resolutions, in particular the European Prison Rules. • UN Optional Protocol against Torture and national preventative mechanisms. • Alternatives to imprisonment, actions on improving detention conditions and improving prison monitoring coordination among key actors. enhancing national capacities to conduct this research; for promoting the use of research results in policy-making and planning for reproductive health care; and for the setting of standards and guidelines, including ethical guidelines, in the field of reproductive health research. WHO is currently emplyoing a Human Rights Adviser to examine and conduct research on the legal and policy environment affecting the realization of sexual and reproductive health, to foster the promotion and protection of human rights related to sexual and reproductive health; to ensure that the work of WHO in the areas of sexual and reproductive health is in line with international human rights agreements, particularly the Convention on the Elimination of all Forms of Discrimination Against Women (CEDAW). Founded in 1922, FIDH is an international human rights movement, bringing together 178 member organizations from over 100 countries. FIDH’s mandate is to contribute to the promotion and protection of the rights set out in the Universal Declaration of Human Rights. The Programme Assistant will contribute to the implementation of the activities of the Women’s Rights and Migrants’ Rights Desk. S/he will work under the responsibility of the Executive Management and under the supervision of the Desk Director and Directors of Operations. 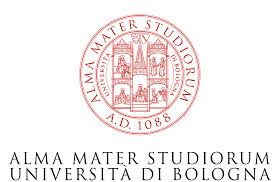 The Winter School is a joint initiative of the Institut International des Droits de l'Homme (Strasbourg), the High School of Economics (Moscow) and the School of Political Science at the University of Bologna. It will focus on the functioning mechanism of the European Convention on Human Rights and the protection of minorities through the analysis of the prohibition of discrimination. The Winter School accepts the participation of 12 auditors maximum. Applicants are not required to satisfy the admission requirements (degree, experience in human rights). Auditors will not be awarded with the formative credits given by the Winter School. The fee for auditors is €250 (including accommodation or €150 (without accommodation). All applications are subjected to a comparative selection procedure. The full programme, call for application and accommodation form can be downloaded here. For further information, please contact Carmelo Danisi at carmelo.danisi2@unibo.it. 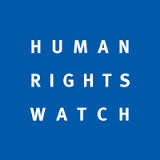 Human Rights Watch (HRW) is seeking experienced and highly qualified executive level applicants for the position of Deputy Executive Director for Advocacy. He/she will represent Human Rights Watch in various advocacy settings, oversees its advocates around the world, is a member of HRW’s Executive Management Team (EMT), and serves as the EMT’s representative in Europe. This position reports to the Executive Director of HRW. The EIUC is organising a seminar, with the patronage and collaboration of the United Nations Environment Programme (UNEP) and the European Union (EU), which will analyse human rights from an environmental perspective, with a new multi-disciplinary approach that underpins the notion that the right to a healthy environment is just as basic as other rights. The methodology of the seminar includes lectures, discussions, working groups and case studies. Issues about human rights and the environment will be analysed in the context of sustainable development by identifying links and challenges, which shall be faced to implement a rightsbased approach to the environmental protection. As well as consideration of international human rights law, there will also be an examination of the relationship of the law of armed conflict with the environment, and questions of transitional justice. The EIUC has developed two three-day modules aiming at providing training to civilian staff in election observation missions at the first steps of their career (i.e. short term observers). Selected applicants will be allowed to become aware of the role, the tasks and the status of international observers, and will be given a theoretical and practical training on election observation and election observation missions functioning.